The aim of the current study was to investigate how individual characteristics influence initial acceptance and effectiveness of repeated exposure to a novel vegetable. The research team gave artichoke puree to 332 children aged between four and 38 months from the UK, France and Denmark. During the study, each child was given between five and 10 servings of at least 100g of artichoke puree. The puree was either served straight, or sweetened with added sugar, or vegetable oil was mixed into the puree to add energy. 20% cleared their plates while 40% learned to like artichoke. The present investigation demonstrated that children respond differently to an intervention aimed at enhancing vegetable intake. 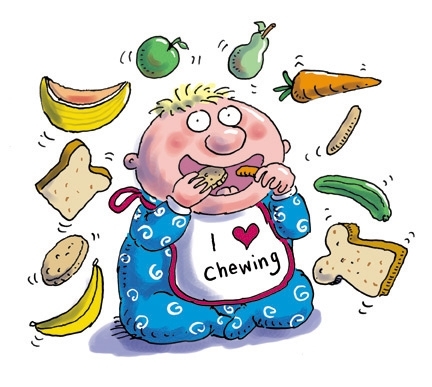 Four categories of eaters were identified, plate-clearers, non-eaters, learners and others. Children who demonstrated a gradual increase over time were classified as learners and constituted the largest group. Age, food fussiness and being in the flavor-nutrient learning condition were predictors of eating category membership. The age of child is key when introducing novel foods, with younger children consuming more compared to older children. Successful repeated exposure is dependent upon tasting even small amounts of the target food. Thus, repeated exposure is more likely to be effective at a time when most tastes are easily accepted, namely the weaning period. The first year of life presents a window of opportunity before the onset of food neophobia, which then peaks around 2–6 years, thus introducing novel foods such as different vegetables is optimal earlier rather than later. Repeated exposure has been reported to reduce neophobia, however, in pre-school children sufficient taste exposures are required to establish learned safety of novel foods. Therefore, alternative methods that focus on encouraging initial tastes of the target food might be needed for the fussier and older pre-school children. Whilst repeated exposure might be effective for most children, for older and fussier children, other approaches are needed to improve acceptance. Alternative techniques such as the use of dips and sauces might be an effective way of encouraging these fussy eaters to try the target food. Alternatively providing vegetables by stealth would ensure that these children are gaining the nutritional benefits of consuming vegetables. Offering tangible non-food rewards may be more effective in these children. It appears that flavor-nutrient learning is not effective in promoting intake of vegetables in young children. recommendations to improve vegetable intake in children should take account of individual differences. Novel vegetables are best introduced when children are young during a period when novel foods are readily accepted and before the onset of neophobia. Food preferences are formed early on, tend to be fixed from early childhood and track into adulthood, it is therefore critical that a healthful diet is established early. In future it will be of interest to compare the efficiency of these different strategies to improve vegetable intake in older and fussier pre-school children.